. :: ROLEX IJRC TOP 10 FINAL 2012 ::. 2012 is the 12th anniversary of the Rolex IJRC (International Jumping Rider's Club) Top 10 Final, and this will be the ninth time that Geneva - home to Rolex - will welcome one of the most highly anticipated competitions of the Jumping calendar. 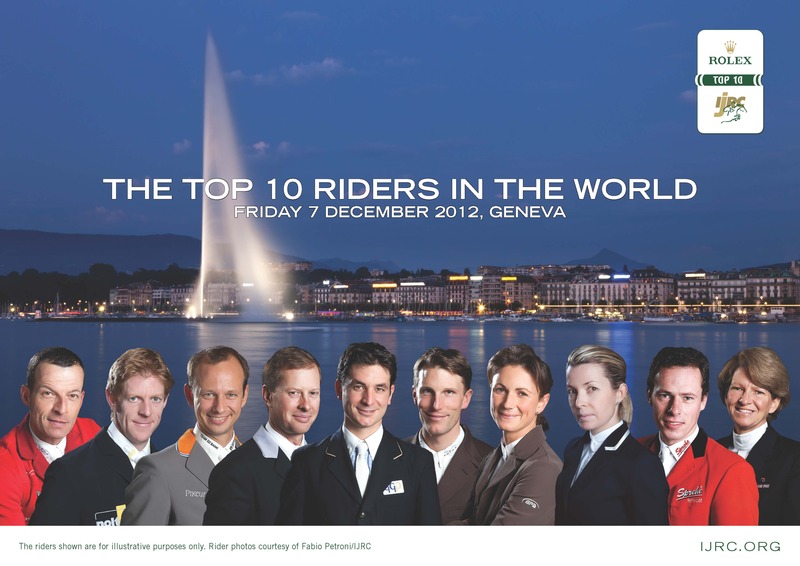 Won by Steve Guerdat, the current world number one ranked rider according to the Rolex Rankings, in Geneva in 2010, the Swiss city promises to play host to spectacular displays of horsemanship from 10 of the world’s finest horse and rider combinations.